Anna Cordova meanders through a field in Colorado Springs, searching for the past. 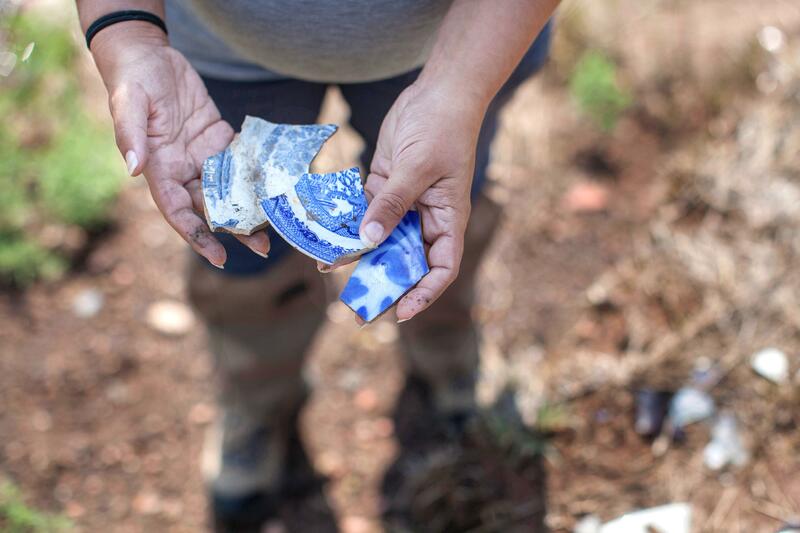 She pulls broken porcelain from a creek bed and snaps a photo, documenting yet another artifact here, where she’s made the biggest discovery of her career. Cordova, the archaeologist for Colorado Springs Parks, Recreation, and Cultural Services and a UCCS alumna, has linked thousands of these artifacts to the city’s early history—and whom they are connected with is why they’re important. The first artifact in this recent discovery was uncovered when city workers were doing flood mitigation. For now, she can’t speak publicly about the site in order to protect it. Once it’s excavated, scheduled for this fall, the city plans to notify the community of its significance and possibly offer walking tours of the area. As an archaeologist, she learns how people lived long ago by examining the manmade items they used and then left behind. It reveals their socioeconomic status, what they ate and drank, where they got their goods, and much more. Trash helps archaeologists better understand human habits of a specific time and place, details likely left out of written history. Cordova has been curious about the past since she was a girl. Born and raised in Colorado Springs, she loved family trips to places that resembled the Old West. In high school, she thought that being a historian sounded fun, but she wanted to be outdoors. Then her mother told her about archaeology. 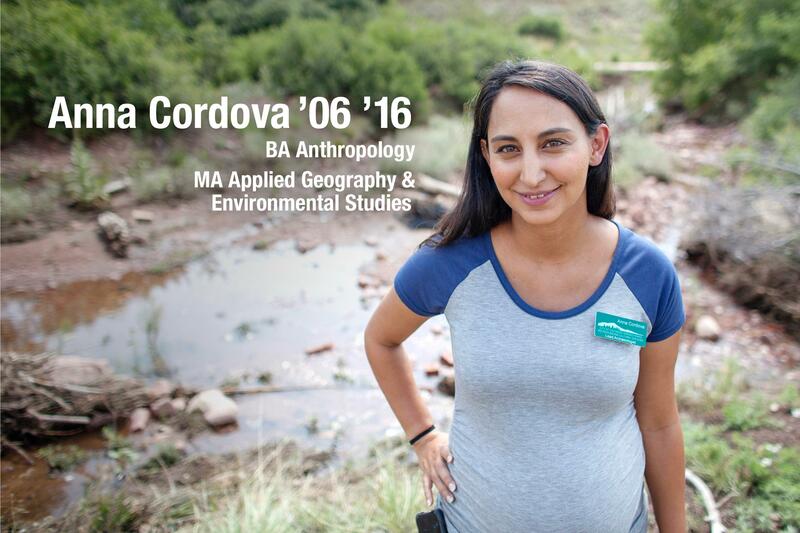 At UCCS, Cordova became hooked, taking junior-level anthropology classes as a freshman. 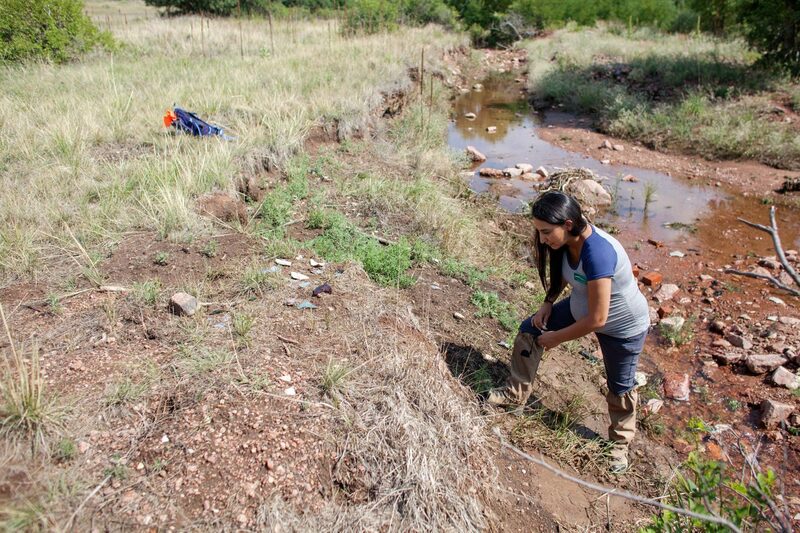 She unearthed her first artifact that summer during a UCCS archaeology field school east of Colorado Springs, finding shards of Plains Woodland pottery that dated back about 2,000 years. As a sophomore, Cordova did archaeological work in Belize at a 19th century Maya village with other students and Minette Church, a UCCS associate professor of anthropology. They also worked together at an 1880s Hispanic homestead in southern Colorado. Cordova’s first paying archaeology gig was a work-study position for Church, analyzing artifacts from the homestead. She was 19. “I had 100 questions for her every day. I was doing it all by myself, and there was a big learning curve. The patience she had to have, and it’s not like I was her only student,” she said. In 2006, Cordova received a bachelor of arts in anthropology, with an emphasis in archaeology. Then she spent about six years in Hawaii cataloging artifacts and consulting with native communities on construction plans affecting their lands. She returned to UCCS for graduate school. In 2016, she received a master of arts in applied geography and environmental studies, with an emphasis in archaeology and indigenousgeographies. 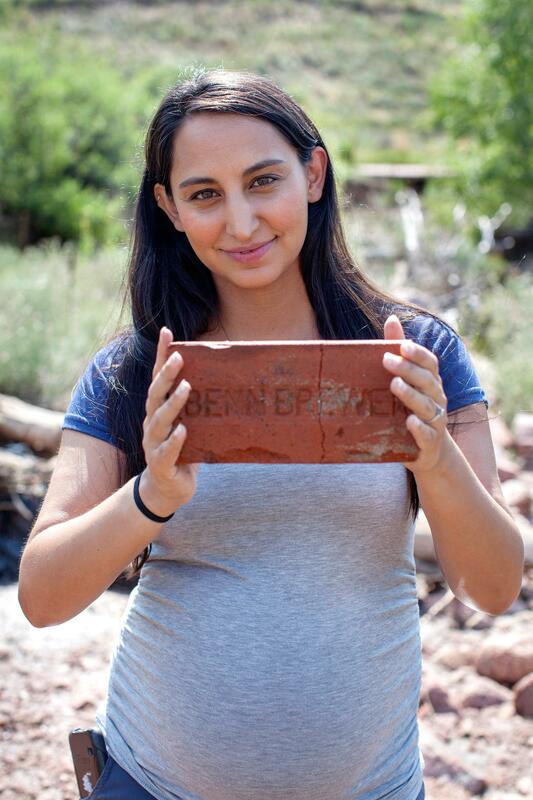 The city of Colorado Springs hired her a month later as its first and only archaeologist, largely to identify archaeology resources at parks and open spaces. She also meets with American Indians regarding their cultural resources in project areas and helps find ways to preserve them. It’s a rare position in Colorado. The only other municipality that employs an archaeologist is Boulder, according to the state Office of Archaeology and Historic Preservation. Cordova remains heavily involved with UCCS, where her father, step-mother and fiancé work. She’s taught an archaeology field school and visited another one, given guest lectures, invited students to intern with her, and consults with professors. 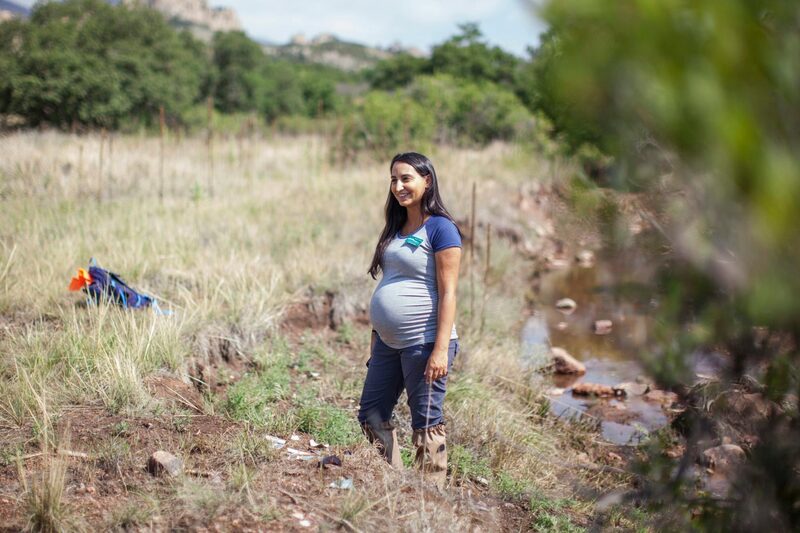 Cordova discovered her oldest artifact, a Folsom spear point, in southern Colorado as an undergrad conducting one of her first professional surveys. The spear point dates back at least 8,000 years. Not knowing what she may find next is part of the draw—and she has personal history with Colorado. She’s known since she was a girl that her family has indigenous ties here. While working on the homestead as a sophomore, she learned her grandfather’s relatives are related to the family that had lived there. That gave her a tangible connection she hadn’t felt so deeply before. How very exciting for you and how fortunate you are to have gotten this position. I knew you were exceptional when I met you years ago at UCCS. My very best wishes. Anna, are you considered to be a part of the UCCS faculty in any way? Thank you so much, Ida! I can’t believe that was 17 years ago that I first met you. You have always been encouraging and helpful.